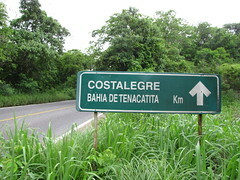 A road sign points the way to Tenacatita Bay in Jalisco state, where a titling dispute jeopardizes the investments of at least 40 foreign property owners. The owners bought deeds over the past five years that had been issued by the federal government and validated by the president of Mexico. But a Guadalajara-area businessman recently won a court injunction saying his company holds a valid deed to the same area - which was purchased in 1991 from the widow of a former Jalisco state governor and upheld in 1977 by the Mexican Supreme Court. State police now block access to the land the foreigners purchased along with the beach at Tenacatita, which had been popular with working-class Mexican sunseekers. The businessman, Andrés Villalobos, told reporters last week he would not offer the foreigners any compensation since, he said, they were most likely deceived in making their purchases. He promised, however, to help prosecute anyone tricking them into purchasing land that he said was always private property and not for the federal government to title and sell. The foreign buyers insist they did their due diligence and hold titles validated by one of either President Felipe Calderón or former president Vicente Fox. At least one buyer put her title into a bank trust, suggesting her purchase was considered proper by some institutions. I recently travelled to the Jalisco coast to write on the issue for Postmedia News. Click here to read it. They could have purchased title insurance. They could have used a reputable abogado who would have advised them to purchase title insurance. I own "land" in Mexico and I purchased insurance because of what I might not know. While I'm sympathetic, I'm not because they tried to take shortcuts or save a little. This whole thing just verifies what I have been telling foreigners buying property in México for years. IF there is ANY mention of "ejido" in the title of a property or even in the general scuttlebutt about the property…WALK AWAY! Ejido or former ejido land just has too many pitfalls for purchasers! Mr. Bodwell, I laughed when reading about titles being "validated" by presidents of Mexico. I doubt presidents are in the business of validating titles as that job belongs to lawyers and notaries. More likely the "validations" were forged by unscrupulous vendors. If you buy property in Mexico without using legal resources, you are a fool. I think it probable that Barbara Hancock, with title in a bank trust which surely involved a notario and abogado, may be safe and have no need to feel unsure. 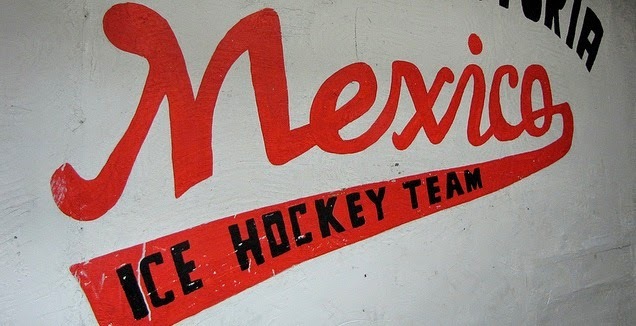 The titles sold at Tenacatita were "validated" by presidents of Mexico. It's part of their jobs. Title insurance is an interesting topic. I've been told by some in the real estate industry that it has certain restrictions and won't always cover challenges to the deed from periods beyond 10 years ago. Of course, real estate agents sometimes have other motives for not recommending title insurance. Ejido land is a risky prospect, but in places such as La Manzanilla, I'm told that issues with the ejido have been minimal and have always been resolved. The problems at Tenacatita are still unresolved. Many people had homes and businesses that were looted, damaged and destroyed. Unfortunately, it is difficult to determine who did it since the State Police and the private security forces of Villalobos were both there and all wore shirts that identified them as State police. Neither Villalobos nor the Governor will accept any responsibility for wrongdoing. Keep in mind that all of this occurred in the middle of the night and no eviction papers were presented. Elderly people and children were not spared. The court has ruled that Villalobos owns 42 acres but he has taken much more than that. He has blocked a road built by the government and denied people access to a Federal beach. Seems to me that the only thing that worries most people is property ownership. What about human rights? The Meican govt. doesn't give a damn about its people. The only thing that matters is money - and thats a crime. If foreigners interested in buying the Mexico property then they can easily follow the norms being set up the country and the recent NAFTA agreement ensures the same. There would not be any kind of disagreement or any obstacle for buying property in Mexico. Is Mexicana de Aviación about to go broke?